2012 marks National Mathematics Year in India. It was named so in honor of Srinivasa Ramanujan, a brilliant Indian mathematician called ‘a natural genius’ by Cambridge professor of mathematics GH Hardy. Ramanujan was born into extreme poverty in rural south India, but displayed an extreme talent for mathematics from an early age. His stratospheric genius was arguably so great that it went largely unrecognized and – despite his brilliance – Ramanujan often found himself on the brink of starvation and near-fatal illness. He eventually sent examples of his work to GH Hardy at Cambridge, who initially thought they were the work of a fraud. Hardy was perplexed upon receiving the mathematical papers because the notation in them was so completely alien. It became apparent to Hardy on closer inspection, however, that the work showed incredible insight, even though swathes of it simply repeated results reported by other mathematicians years before. 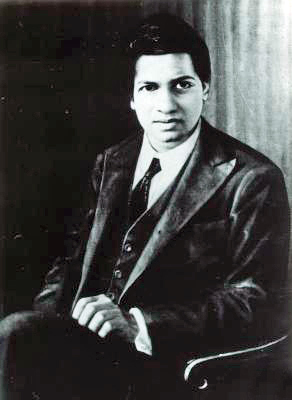 Hardy invited Ramanujan to England, where he discovered that almost all the inspiration for Ramanujan’s work derived from just two mathematical textbooks: The Elements of Coordinate Geometry by SL Loney, which he read when he was 12; and A Synopsis of Elementary Results in Pure and Applied Mathematics by G. S. Carr, a gift when he was 16. This narrow exposure to the field explained the repetition of previous and the invention of new notation for already established ideas. The fact that Ramanujan had extremely limited exposure to new mathematical texts during his formative years didn’t stop him eventually becoming a fellow of Trinity College, Cambridge, and later a Fellow of the Royal Society. For a man who would only live to 32, however, it was a tragedy that he spent so many years rediscovering some of mathematics’ most groundbreaking findings from decades prior to his time. A student in India today who has access to a computer is principally able to access much of the World’s established knowledge through services such as Wikipedia. However, for the most up-to-date research, results have traditionally been disseminated through papers in academic journals. In spite of the reduction in the costs of transmitting information over the Web, the costs of accessing information has been high, because the most prestigious journals tend to charge high subscription fees regardless of whether the article is delivered on paper or on a screen. This places a barrier of cost on the reader – one that in developing countries may be insurmountable. Have other Ramanujans since the advent of the Web needlessly gone over old ground simply because their lack of money did not allow them access to the most up-to-date research in their chosen field? In traditional publishing models, the onus is on the subscriber to support the model through expensive subscription. It took an entrepreneurial perspective to turn the model on its head for the Web era: open access publishing, pioneered by BiomedCentral’s Vitek Tracz and others, places the onus on researchers to pay for their articles to be published. Articles can then be accessed without restriction for free. While this is undoubtedly fairer to researchers in developing countries, who perhaps could not afford high subscription costs, the model operated by BiomedCentral, PLoS and others does not operate on altruism alone. These publishers make money, and more importantly, their journals have credible impact ratings – the most widely accepted currency for researchers navigating a career where assessment of one’s work by one’s peers is of paramount importance. 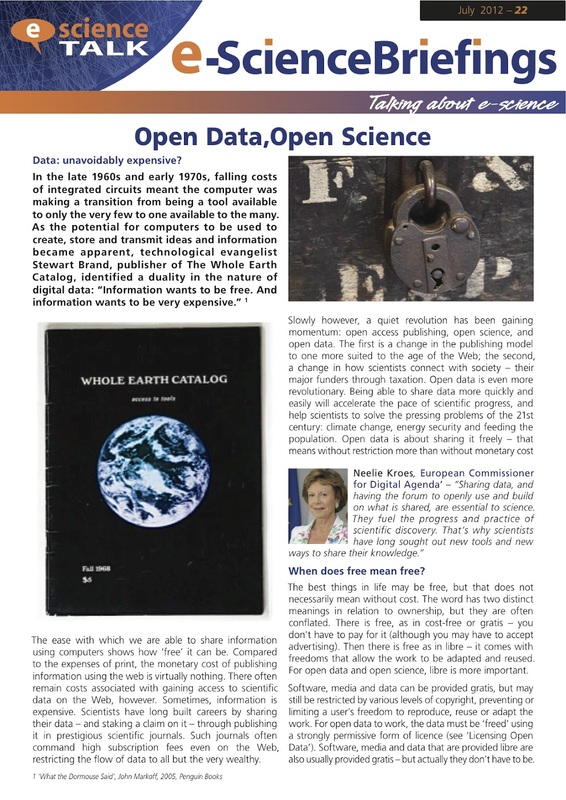 Open access publishing is one of the pillars of open science, opening up the results of science to researchers worldwide. Individual scientists and institutes are also communicating with the public more, made easier through social media and blogs. The gold standard for open science, though, is open data. Data from large-scale studies, be it particle physics or biology, need to be made accessible, shareable and citable. Whole projects or countries might otherwise end up going over ground already covered by others, just as Ramanujan did. The challenges facing humanity in the 21st century are huge. Tackling them effectively requires us to use all our resources as efficiently and as openly as possible. An account of Ramanujan’s life and work is given in Robert Kanigel’s book ‘The Man Who Knew Infinity’ (1991). It is currently being made into a film.